During the month of October the Cosmetology students held fundraisers to give back to the local breast cancer awareness chapter Beta Sigma Phi. The Cosmetology Club put together a pink basket of items to be raffled. Each one of the club members sold tickets around the campus and community. They also sold pink beauty items at the Cosmetology department and during the Eastern Wyoming College volleyball games. Thanks to the efforts put forth by all of the club members and the generous donations of clientele, $900 was raised. Funds were divided, $400 was donated to Beta Sigma Phi, and the remaining $500 was donated to the family of one of the Cosmetology students whose mother is currently undergoing breast cancer treatment. The Eastern Wyoming College music department has announced the annual Christmas concert on Thursday, December 5th at 7 pm in the EWC Fine Arts Center in Torrington. The concert will feature the EWC Collegiate Chorale, EWC College/Community Band and the EWC Master Chorus/Community Choir. There will be a reception and refreshments following the concert. This performance will be conducted by EWC music instructor Michael DeMers accompanied by Janet Howard and is free and open to the public. It will also be webcast so families of students that are out of town can watch on the website. For more information, contact Mr. DeMers at 307.532.8368. The Eastern Wyoming Arts Council presents Mick Maloney. This performance will take place on Wednesday, December 4, 2013 at 7:00 p.m. in the Eastern Wyoming College Fine Arts Auditorium in Torrington, Wyoming. Mick Maloney, Irish musician and folklorist combines the careers of folklorist, musicologist, arts presenter and advocate, professional musician, and professor of music and Irish studies. In 1999 he was awarded the National Heritage Award from the National Endowment for the Arts- the highest official honor a traditional artist can receive in the United States. He has recorded and produced over forty albums of traditional music and acted as advisor for score of festivals and concerts all over America. Mick also served as the artistic director for several major arts tours including The Green Fields of America, an ensemble of Irish musicians, singers and dancers which toured across the United States on several occasions. Also featured local artist Julie Nighswonger will display a variety of her work for the public to enjoy before and after this performance. Pre-concert tickets are $15 for adults, $5 for students. Tickets at the door will be $20 adults and $10 for students. Tickets may be purchased at Pinnacle Bank, Goshen County Chamber of Commerce, the Community Education office or by calling 307.532.8213 or 307.532.8323. 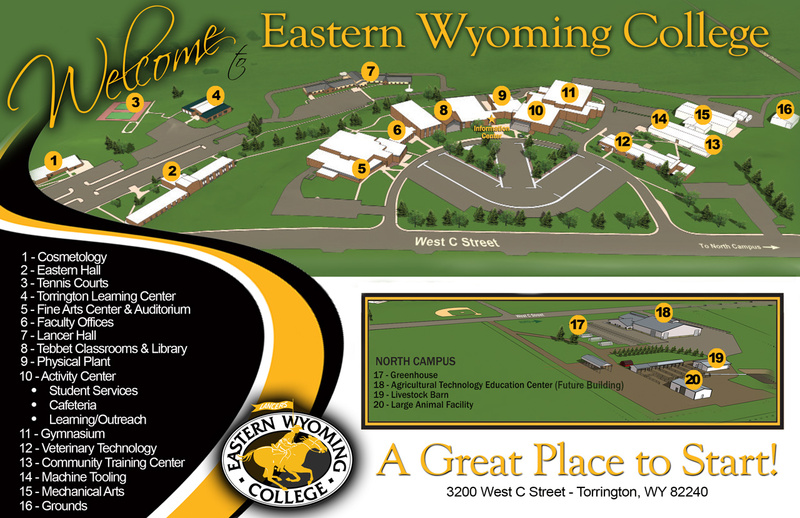 Eastern Wyoming College will be holding a Community College Information Night on Tuesday, November 19, at 6:30 pm at the Riverside Church of Christ, 615 South Main in Torrington. Several EWC employees will be available to provide information and to answer questions. Refreshments will be provided. This event is free and open to those interested in learning more about the college. For more information please contact Patsy Otero Velázquez, Diversity Coordinator, 307.532.8245. Eastern Wyoming College will honor veteran’s with a special celebration to be held on Monday, November 11, 2013 at 12:30 pm, in the EWC Fine Arts Auditorium. The program will include Senator Mike Enzi speaking to lead off the event. The EWC Choir, director by Michael DeMers will perform and then EWC employee Aaron Bahmer will perform Taps. For more information about this special celebration to recognize those who have served or those who are serving please contact the EWC Library at 307.532.8210. Participants in this course will gain a holistic overview of current food and nutrition issues and their impact on physical, social, emotional, and spiritual health. This certificate is designed for individuals who are working in the health care field and those who are interested in the topic. This course is part of EWC’s growing catalog of more than 300 instructor-facilitated online courses. Through well-crafted lessons, expert online instruction, and interaction with fellow students, participants in these courses gain valuable knowledge at their convenience. They have the flexibility to study at their own pace combined with enough structure and support to complete the course. And they can access the classroom 24/7 from anywhere with an Internet connection. New sessions of each course run every month. The courses are entirely Web-based with comprehensive lesions. A dedicated professional instructor facilitates every course; pacing learners, answering questions, giving feedback, and facilitating discussions. To learn more, call the EWC Community Education office at 307.532.8323 or 307.532.8213 or stop by 3200 West C Street.